We have been cooking this simple, healthy dish for many many months now. It’s taken me this long to finally post it! 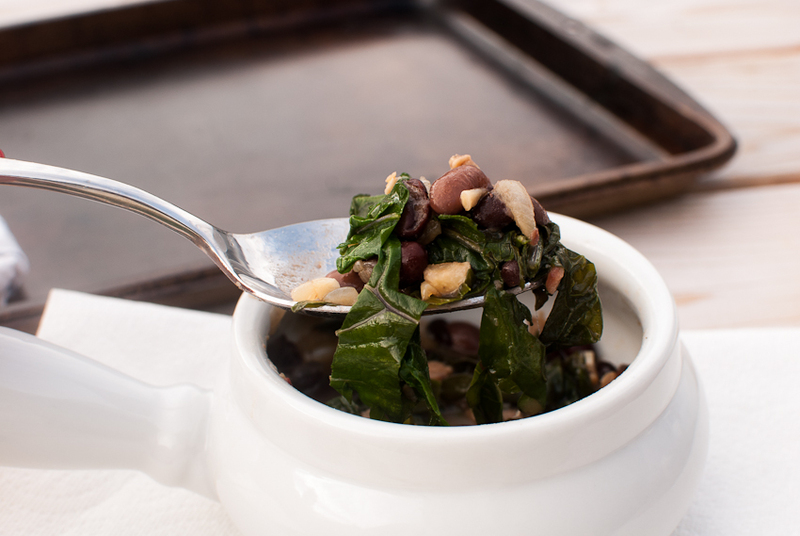 I discovered this dish last fall when we started eating a lot of Kale. I know everyone knows about kale chips, and yes, we do those a lot too. But I wanted to make something more of a hearty healthy dish, a dish you could serve as a side or a main. We eat ours as a main dish, fast and quick on a weeknight when schedules are hectic, this dish delivers! I’m sad to say, this Kale did not come from our garden…it came from a co-worker’s garden, umm, more like huge farm! The Kale I planted this year is too bitter, so I’m ripping it out and planting some of this Kale. It’s a Russian variety and grows beautifully. The leaves have a ruffle like edge and thick purple stems. It steams wonderfully and has a little sweet taste to it. 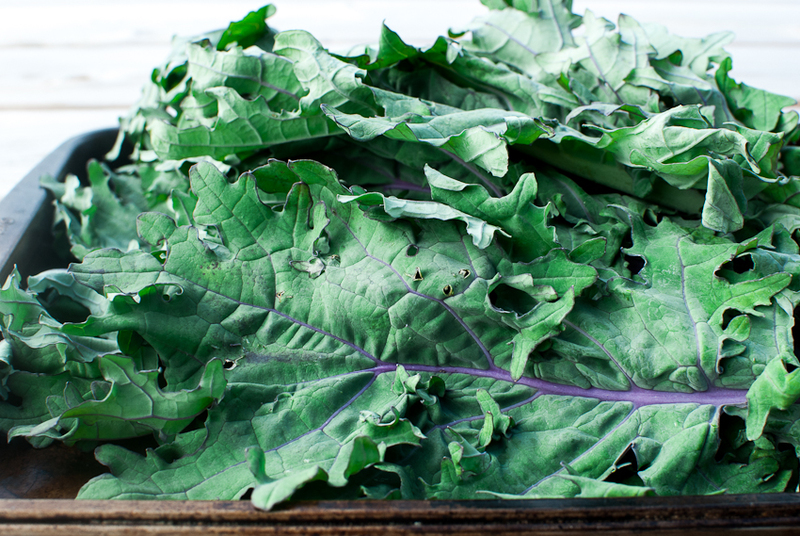 Can we talk about the health benefits of Kale? Oh yes…this super green food is good for you, it detoxes the body for one. You know, after you’ve had 1 or 3 too many bottles of wine, LOL, eat this super green for a few days and you will feel new again. It’s also high in vitamins, lowers your cholesterol and has more calcium than a glass of milk! Ha, who knew! With all these health benefits, you should be growing Kale or have it stocked every week in your fridge! 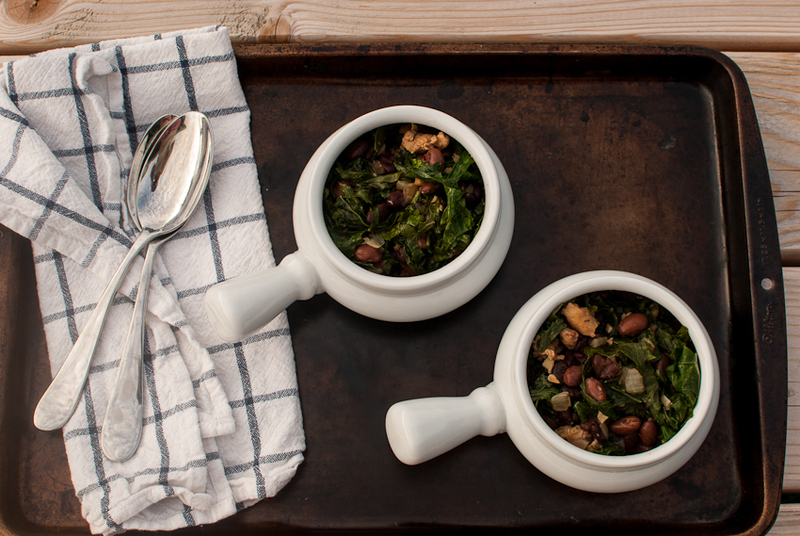 All you need is s can of vegetable stock, can of beans, some sausage and a huge bunch of Kale. This dish is very versatile too, I’ve added mushrooms, peppers, and tried different kinds of beans such as chick peas. They are all very tasty! In a large skillet over medium heat, sautee the onion and garlic until fragrant and lightly browned. Add the salt, pepper and red pepper flakes. Pour in the chicken stock and beans. 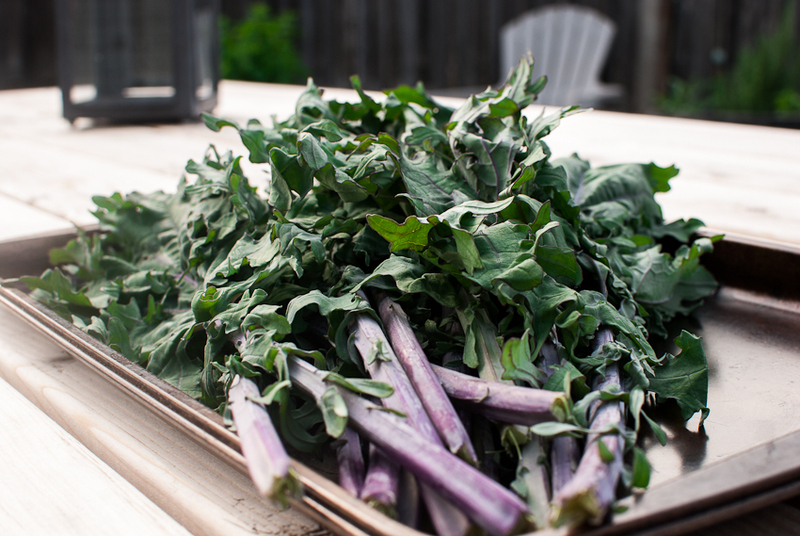 Rinse and trim the Kale removing the thick purple stems down the middle of the leaf. Cut into small pieces. Add the Kale to the pan, cover and simmer on low for about 10-15 minutes. Makes 2-3 servings as a main entree. Beautiful! Good luck with your next batch of kale, it’s so disappointing when you spend all that time growing something and it doesn’t taste how you expect. Last time I had bitter kale I blanched it and made a kale pesto. So much less bitter that way. Thanks for stopping by…I will have to try making the kale pesto!